International Pompe Day Fundraiser Launched! In honor of the Second Annual International Pompe Day, the International Pompe Association (IPA) is excited to announce that ”Pause for Pompe” has been chosen by the international Pompe community to be the International Pompe Day Fundraiser! The goal of the International Pompe Day fundraiser is to raise $50,000 (USD) to develop and produce a short film to raise awareness of Pompe disease. In particular, the need for access to therapy and the importance of early diagnosis will be emphasized. Studies have shown that early diagnosis and access to treatment results in the best long-term results for Pompe patients, and we believe that our short film will help future Pompe patients be diagnosed sooner by raising awareness of Pompe disease. What is the Pause for Pompe? 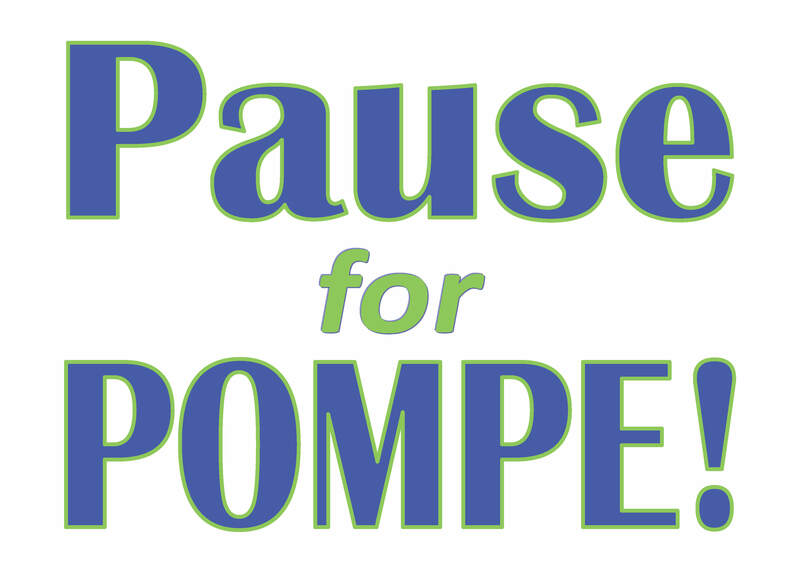 The “Pause for Pompe” challenges people to “Pause” (stay completely still) for 40 seconds. This 40-second Pause challenges participants to see what the most severely affected Pompe patients experience–the inability to move. It also represents the 1 in 40,000 people in the world that are affected by Pompe disease. 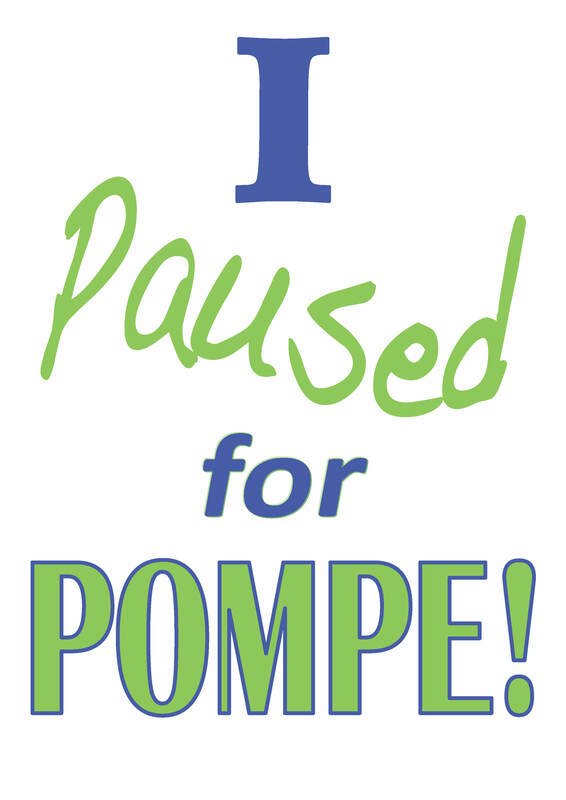 So Pause for Pompe and donate to the IPA’s International Pompe Day Fundraiser so that future Pompe patients will no longer be forced to Pause! 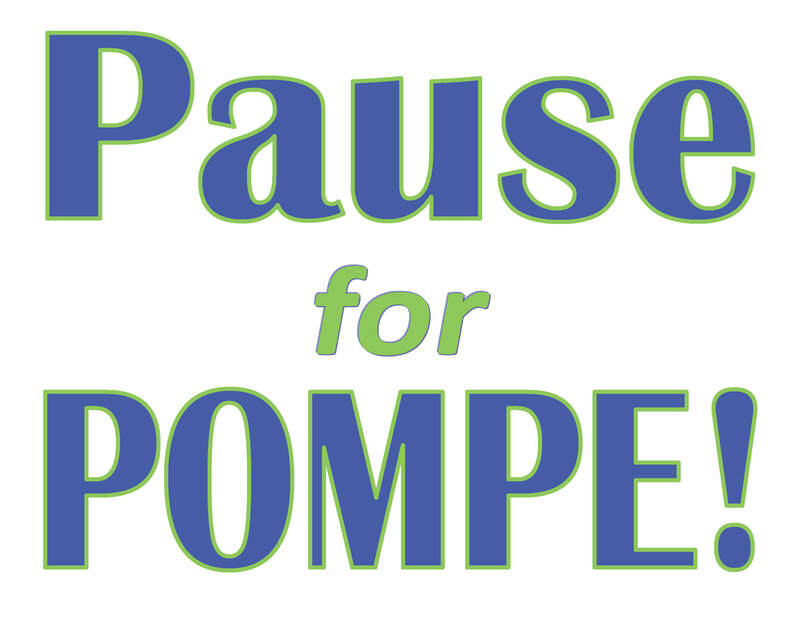 It’s easy to participate in the Pause for Pompe! All you have to do is stay completely still for 40 seconds! The IPA encourages everyone to get creative and have fun with their Pause for Pompe! Strike a funny pose during your Pause! Organize a “freeze mob” with your friends and family! Pause with your friends and family! Make a short video of your Pause! On the IPA’s International Pompe Day website, there are several signs that you can print out and hold during your Pause. Or make one of your own! To show your support of the Pause for Pompe we encourage you to post a photo or video of your Pause for Pompe on the International Pompe Day Facebook page (https://www.facebook.com/InternationalPompeDay) or on the International Pompe Day website (Photo Upload Form: http://worldpompe.org/index.php/international-pompe-day/photo-upload-form)! How do I donate to the Pause for Fundraiser? 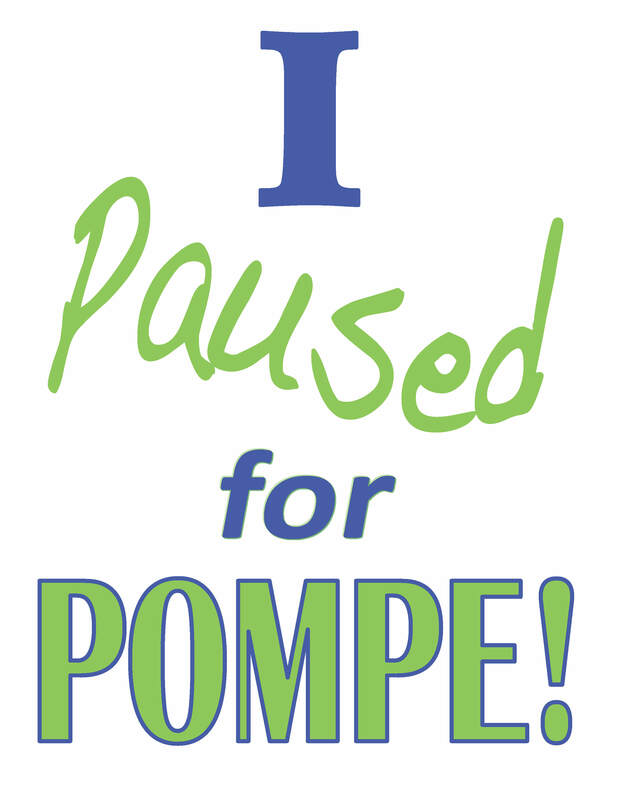 After you Pause for Pompe, send a donation to the IPA’s International Pompe Day fund! Donations can be made through Paypal or by wire transfer. For more information on how to donate, please visit the IPA’s International Pompe Day website (http://worldpompe.org/index.php/international-pompe-day). Let’s show the world how “Together We Are Strong” through the Pause for Pompe!